European countries have vast coasts and economic zones which go far into the Atlantic and Arctic oceans and which are challenging to monitor and manage. Moreover, the drive towards more remote locations and harsher environments demands new approaches and technologies. monitoring include mapping and monitoring of marine resources, environmental parameters such as oil spills, climate indicators, and sea ice in arctic regions. 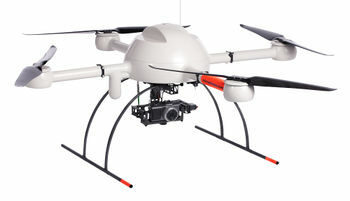 Moreover, UAS can be used for inspection of fisheries, surveillance for security, data acquisition from buoys, surface ships and underwater vehicles, assistance in search and rescue missions, and situation awareness in marine operations. Increasing the mean time between failure. Enabling safe UAS operation in non-segregated airspace beyond line of sight. Increase user-friendliness and efficiency of lightweight multi-UAS operations. Develop smarter and more efficient UAS with intelligent functions that adapt the UAS behavior and autonomously replan its mission in real-time in response to the payload sensor observations. Demonstrate capabilities and benefits in challenging marine operations. See also the web pages of the Unmanned Aerial Vehicles Laboratory (UAV-Lab).